Providing you the best range of surface roughness tester sj 210, surface roughness comparison chart and short & grit blasting comparator with effective & timely delivery. 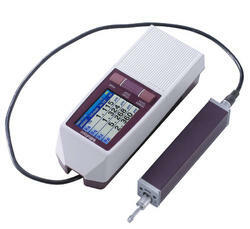 We are distributor & trader of Surface Roughness Tester SJ 210. 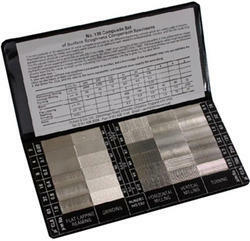 We are distributor & trader of Surface Roughness Comparison Chart. This set consists of 30 comparison specimens, covering six commonly-used machining methods (6 turned, 6 end-milled, 6 horizontally milled, 6 surface-ground, 3 lapped, 3 reamed/drilled. A label gives the Ra and Rz values of each specimen in both metric and imperial units. We are distributor & trader of Short & Grit Blasting Comparator. These two comparators (item 017 for shotblasting, 018 for gritblasting) are specially designed to check the roughness of steel surfaces which have been blast cleaned to cleanliness grades SA 2.5 and SA 3 before painting. They conform to ISO 8503.